Flow-Turn is a global manufacturer of conveyor belt curves. We supply and support material handling industries all over the world. Our products range from standard industry curves to specialized custom designs. It is our goal to provide excellent high quality curves that are simple to maintain and reliable to run. 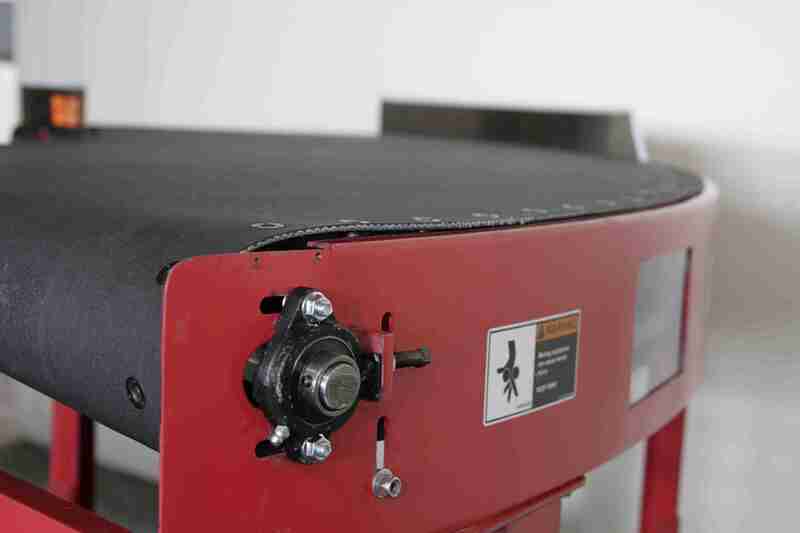 We also provide high quality conveyor material as well as specialized belt cutting to cater customer needs. Flow-Turn recently purchased a Gerber Cutting Table to quickly cut and fabricate any curve with precision. We have more than 40 years of experience designing and manufacturing belt curves. In 2011 we changed ownership and changed our name from PSC Floturn to Flow-Turn. Our facility is based in Union, New Jersey. We engineer and manufacture everything in house from Metal Work, Paint Work, Belt Cutting to Assembly and In-house testing. Please stop by to see our new products and services! Our engineers have developed a new turn that can be used for systems transporting small items (Food, Small Parts, Fragile Products). The Knife Roll is only 7/8” in diameter and is a true 90 degree turn. 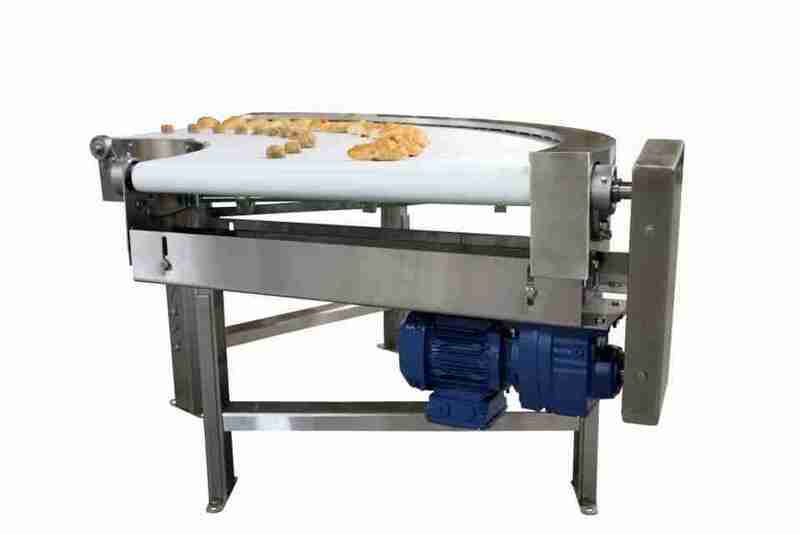 This feature assures you that you can position your conveyor adjacent to the Knife Roll-Turn turn with an even gap throughout the width and still maintain the desired input and discharge angles. The Knife Roll-Turn has a fixed edge. This means the edge never moves for belt tension adjustments. This also allows for an extremely small gap between the curve and the adjacent conveyors. 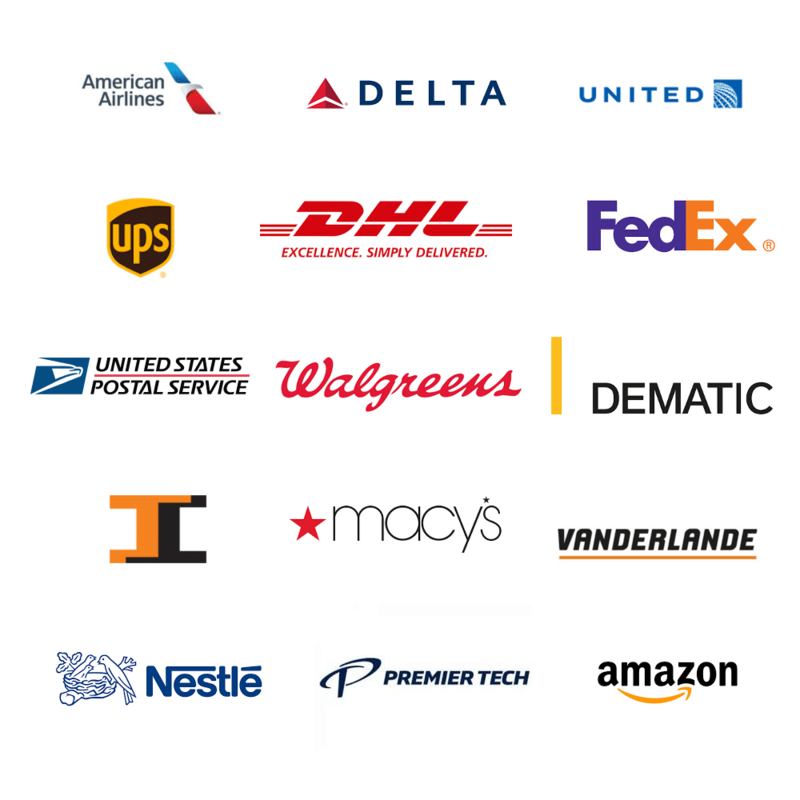 We drive to ensure our customer’s are satisfied with our product. We strive to be the reliable supplier while providing state of the art technology. We continue to push ourselves to innovate and bring about new ideas to the material handling industry. Efficiency and high quality material is our specialty. 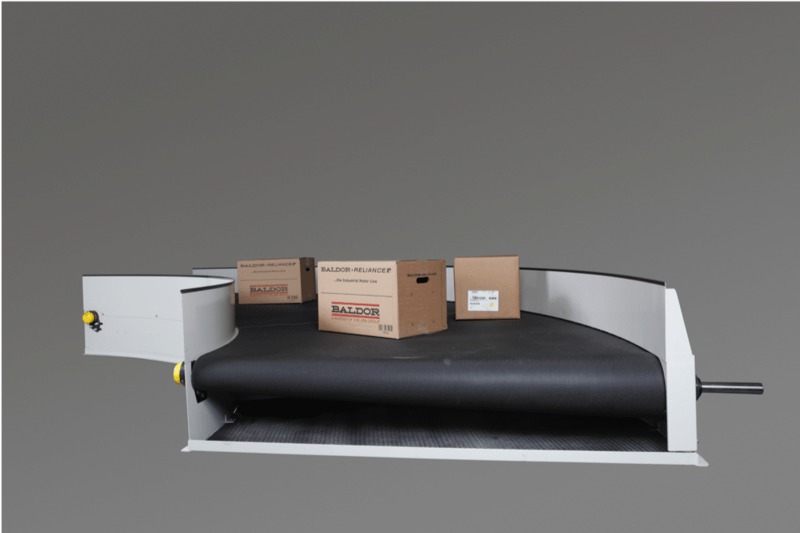 Flow-Turn has introduced a new highspeed turn to transport smaller products faster and more efficiently. It features a constant diameter end roller for smooth transfer of small items. The Square-Turn can run as small as 2″ across the horizontal End-Rolls. 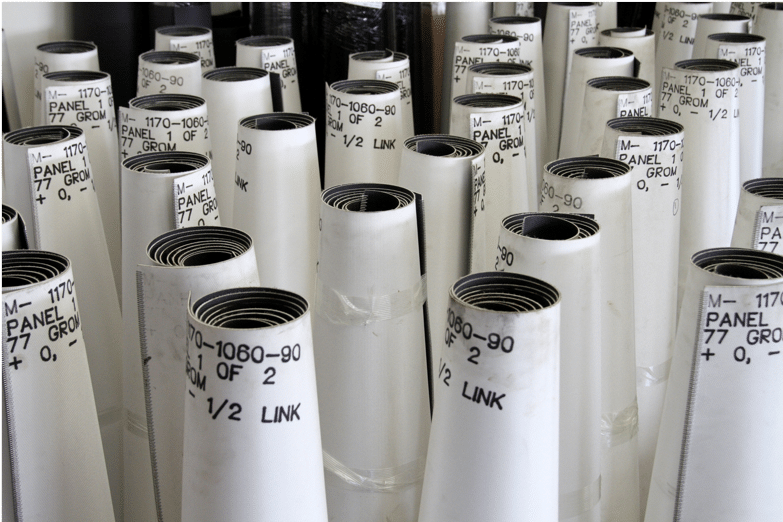 For wider Turns and higher speeds, we offer 2.5″, 3″, and 4″ End-Rolls. Our engineers have developed a new curve that can be used for systems transporting small items(Food, small parts, fragile products). The Knife Roll is only 7/8” in diameter and is a true 90 degree turn. We work hard to ensure our customer’s are satisfied with their product. We strive to be a reliable supplier while providing state of the art technology. 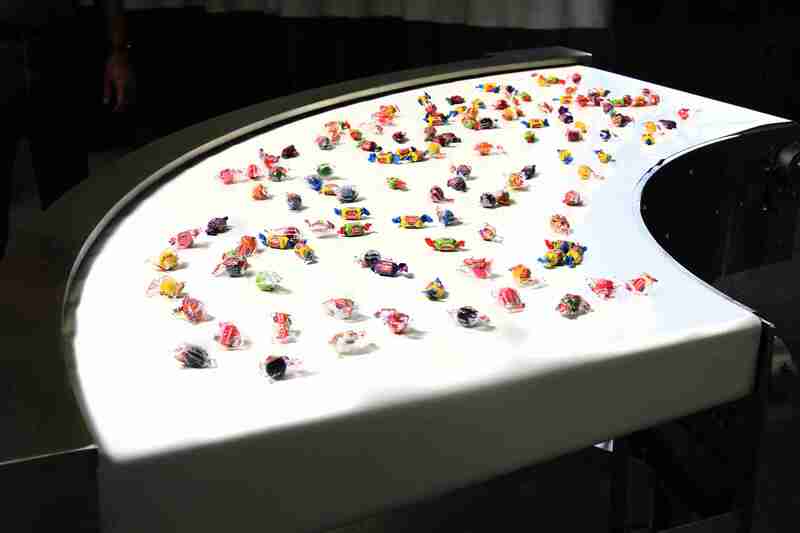 Flow-Turn has developed a new highspeed turn to transport smaller products faster and more efficiently. It features a constant diameter end roller for smooth transfer of small items, especially at the outside radius. Could be as small as 2” in diameter to transfer small items smoothly. Larger curves would get 2.5” dia.